I am actually not sure how to answer this, because I take it for granted. It is like someone asking you how to keep motivated in eating or sleeping. Lack of motivation is usually a sign for lack of (genuine) interest. If research is not what you really want to do for yourself, you are wasting your life; do something else instead, before it is too late. The world is becoming increasingly competitive. 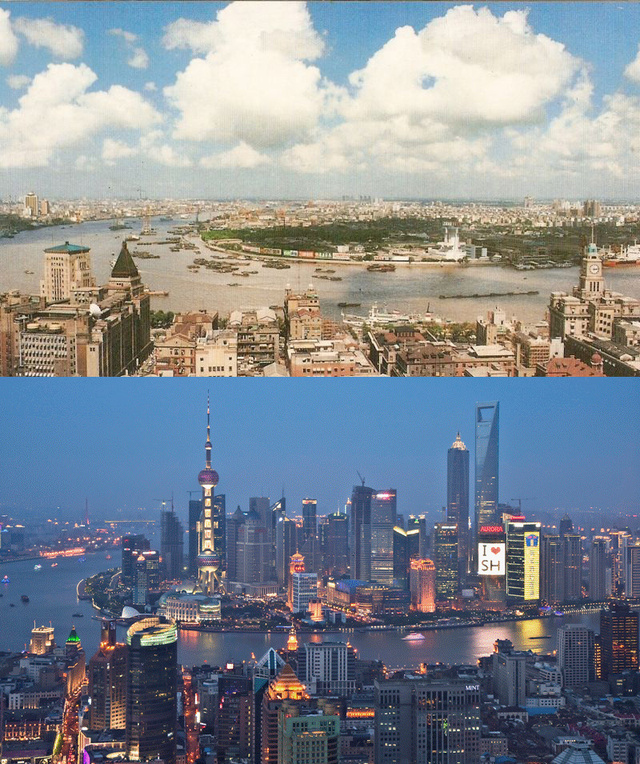 People in your fields are getting better faster than, say, how Shanghai has changed in just 20 years. Would your future prospect (in job, family, etc.) be enough to keep you always on the edge? If not, I cannot save you from being doomed into eternal mediocrity. Summer tends to be boring and slow. I wish I could transfer June to August into the end of December. Winter is much more exciting but tends to run faster than I can catch. If you are my collaborator and you try to take a summer break, you will regret in the winter. Just mark my word. I will be able to see consequences of experiments that (even) I would normally not conduct. Public speaking is the number one fear reported by people in the US. Many people, at least in the US, like to go to parties. For me, it is the exact opposite. The bigger the audience, the easier I feel. Giving a large conference talk is the most comfortable; I totally control the script and there are so many people that they become anonymous, blank, and non-human. Teaching a class is slightly trickier; I am still in control but have to interact with students sometimes, potentially disrupting the flow and raising my awareness of their human presence. Small talking in a social gathering is the most energy consuming; it is entirely ad hoc and I have to read people and react in real-time. Is this extrovert or introvert? I guess it is something orthogonal. Maybe it is “sociability” before I can find a better term. Jack Crawford: I also understand it is difficult for you to be social. Will Graham: I am just talking. I am not listening to them. It is not social. They say olfactory memory is the most visceral as it is within our primitive brains. You think GPA is important and spend time boosting your grades. You think research is as deterministic and well-defined as courses. You wait to be told what to do rather than figure out your own way. You think you are working for your adviser rather than yourself. Instead of work continuously, you let external factors (e.g. holiday and semester breaks) disrupt your flow. You do not read every paper in the top venues of your fields especially during your first few years. You try to read and understand every paper completely like textbooks. You feel that deadline 3 months later is still far away. You believe you are smart enough so that you do not have to work as hard as others. Good article, even though many things in life simply cannot be “taught” and have to be experienced. HKU has this course called final year project (FYP) for undergrad students. As the name implies, it is a two-semester projected oriented class. The offerings change every year. Each class is designed by a CS professor, and matched with potential students. Out of pure experimentation, I offered ray tracing for FYP. Five students, divided into two teams, took the project. It appears that I might have underestimated the workload a bit. They all crunched their tails off; one guy told me he wrote 35000 lines of code, and I did not try to ask others. As a reference, 2000 is about the medium number of lines of code written by undergrad applicants from mainland China to our PhD program. Now, about the experimentation part: I wanted to see how well the HK kids can code, compared to other places that I have been to (e.g. SF Bay Area, Seattle, and Beijing). (I could not get the answer from the introductory programming class I taught in HKU because, to avoid student complaints, I have to water-down the programming assignments to be no more than what I could do in junior high.) The FYP results indicated that there are indeed talented young computer scientists in HK. Unfortunately for them, the local economy and job market are geared too much towards rent seeking (e.g. real estate) and moving things around (e.g. finance and business) than innovating (e.g. technology). It remains interesting to see if technology can eventually fix this. In theory, any individual smart enough can already conquer the world with a laptop and internet connection from a bedroom. Already, I do not need a physical lab in HKU. Giving a good paper presentation is already hard, but at least you have 20 minutes’ worth of wiggle room. Giving a good paper fast-forward is even harder, because you have only 40 seconds. Even one tiny mistake can ruin you. The most common mistake is trying to explain too much (I like to call it “geek’s asymmetry”). Trust me; almost nobody will care, and certainly nobody will understand, within 40 seconds and among 100+ presentations. The fast-forward is pure advertisement with one main goal: get people read your paper and attend your talk. Write down the script first, so that you know what you want to talk about and you can comfortably utter the sentences within the limited time frame. Practice and rehearse a sufficient number of times, especially if you lack verbal proficiency. Only design your slides after the script is in a stable condition. This is extremely important. If you do it the other way around, and I know this is what most people would do, you are making a grave mistake, because (just like what movie critics would say) you are letting the effects get in the way of the substance. Do not force people read your slides. Use pictures and animations instead of texts to explain your points. After having both the script and the slides, practice, until you can do it perfectly during sleep.